When Kyra Peldyrin, junior mage, turns up the night before her sister's wedding all hell breaks loose. For Kyra had a vision that her sister is going to die on her wedding night - so she decides to stop the wedding by causing the Bishop to break his leg and infesting the church with rodents. Six years ago, Tibbeth of Hale was burned at the stake. 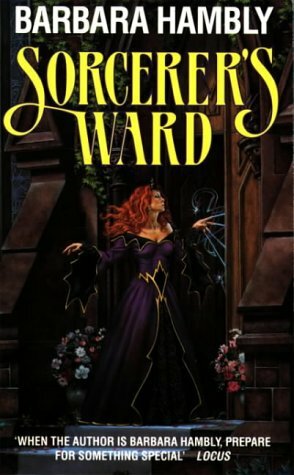 His apprentice, Kyra Peldrin, in defiance of her family, decides to pursue her magic studies at the College of Wizards. Now, a junior-level mage, Kyra is getting some unusual readings from the spells she is practising. Things become even stranger when one night Kyra wakes with the certainty that her sister Alix’s impending marriage to Blore Spenson – wealthy head of the Merchant’s Guild – will end in Alix’s death on her wedding night. Thus, determined to stop the wedding at all costs and to locate the source of the threat, Kyra returns to Angelshand and a machiavellian court full of hostility and dangerous secrets.